From Barcelona to Bogotá, Spanish is a global language of business, politics and art. Studying Spanish abroad is the best way to master one of the world’s fastest growing languages. Get up to speed! Compare Spanish language programs below. Those interested in studying Spanish can choose from a diverse range of programs to match their proficiency, from summer courses and diplomas to master level degrees. Spanish is currently the third most widely spoken language in the world, and its international reach offers students the unique opportunity to study at top institutions in Spanish speaking countries and beyond. As well as providing the necessary teaching and skills required to master Español, most Spanish language programs enable students to gain a fascinating insight into the global contributions of Hispanic culture, history and art. From Picasso to paella, Spanish is a broad subject with universal appeal. What do I need to study Spanish? Studying Spanish abroad could open the door to communicating with up to 500 million people from over 25 different nations. Sound exciting? If you fit some of the criteria below a Spanish language program could be the perfect match for your skills. A passion for communication. Those most likely to succeed in studying Spanish will possess strengths in listening, speaking, memory and problem-solving. A passion for communicating with people from different countries and cultures. An interest in Hispanic and Latin American culture and history. The confidence to embrace the unfamiliar. You may be required to study entirely in Spanish, and/or live in a country where Spanish is the native language. Participation in a BA or MA level Spanish degree often requires a pre-existing proficiency in the language. You may need to pass a test to get a place on a program. What can I do with Spanish? By opting to study Spanish abroad you will be embarking on a highly rewarding journey of personal development and knowledge acquisition. It doesn’t end there however. Studying Spanish can also lead to a variety of exciting career prospects. You can work anywhere in the world where there's a demand for Spanish speaking employees. This can lead to a multitude of opportunities across all industries. When hiring, many companies have a highly favourable view towards those with a second language. If you wish to pursue a career in language education, having bilingual ability allows you to teach English effectively in Spanish speaking countries, or teach Spanish as a second language anywhere there is a demand for it. What can I expect from studying Spanish abroad? Most Spanish language programs offer an immersive approach to learning. From your enrolment onwards, the majority, if not all in-class interaction will be conducted in Spanish. You will work towards perfecting your grasp of Spanish vocabulary with an end goal of achieving fluency, whilst drawing upon Hispanic culture and history along the way. In terms of assessment, it is likely that emphasis will be placed on oral examination as well as written methods such as essays. Studying Spanish abroad in a native-Spanish speaking country is undoubtedly the best way to master the language and gain an authentic insight into Hispanic culture. By opting to take your Spanish language program in Madrid, for example, you would be combining your studies with the chance to turn what you’ve learnt into reality. You can make Spanish friends, learn first-hand about Spanish life including how to speak like a local, you can try delicious Spanish food, visit beautiful historic sites, all the while absorbing cultural information like television and news on a daily basis. You may even be able to take a trip to see the world-famous Real Madrid soccer team play! Vamos los Blancos! 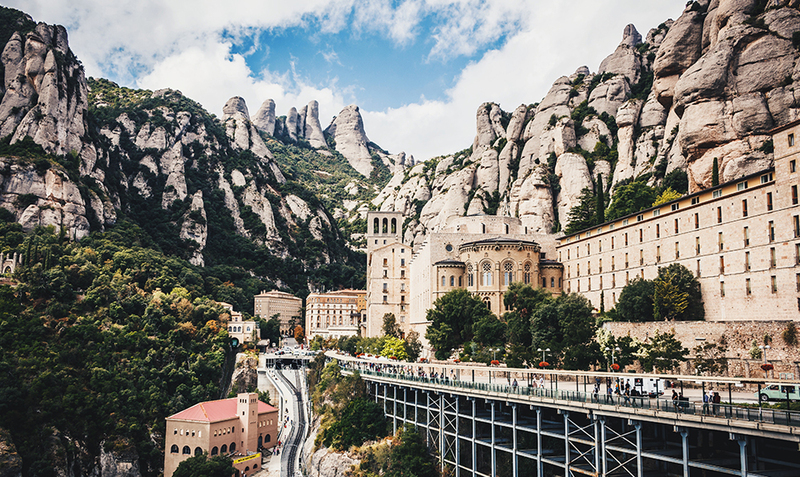 Learn more about what your experience could be like with our Spain country guide.